Israeli soldiers abducted, on Thursday at dawn, two young Palestinian men from ‘Aida refugee camp, north of Bethlehem, and one in Nur Shams refugee camp, east of Tulkarem, after searching their homes. Media sources in Bethlehem said dozens of soldiers invaded ‘Aida refugee camp, before storming and violently searching homes, and abducted Moath Mohammad Abu ‘Aker, 25, and Ahmad Mer’ey Da’amsa. In addition, the soldiers invaded homes in Nur Shams refugee camp, east of Tulkarem, and abducted Bara’ Fathi Qar’awi. 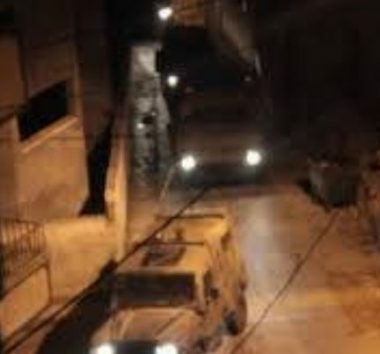 The soldiers also invaded Bal’a town, east of Tulkarem and searched at least one home before withdrawing.